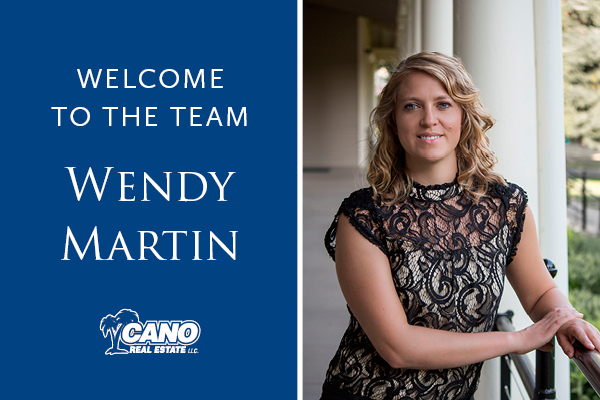 Cano Real Estate is pleased to welcome Wendy Martin as our newest team member. Wendy is licensed real estate broker and is excited to take her business to the next level as member of Nathan Cano’s team. Coming from a background working in commercial construction, Wendy brings a fresh perspective and diverse professional experience to the team. In search of a career that is more high paced and interactive, Wendy was motivated to make the move to a career in residential real estate a few years ago. Wendy’s personal background has shaped her philosophy that owning a home is so much more than a financial transaction – it is a personal milestone. Wendy understands the ideals and she values the work it takes to become a homeowner. She is looking forward to taking that journey with her clients. I would recommend Cano Real Estate to anyone. Very impressed with coordination, photos and presentation. I feel that our home sold quickly because it was marketed well, the photos captured the details, and it was priced right. Thank you!!! !